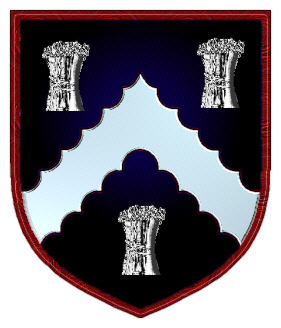 Coat of Arms: A black shield with a silver chevron engrailed between three silver garbs. Spelling variations include: Field, Feild, Felde and others. Some of the first settlers of this name or some of its variants were: Zacharia Field from Hadleigh in Suffolk settled in Hartford Connecticut in 1639; Robert Field of Yorkshire settled in Flushing, Long Island in 1645; Daniel Field settled in Virginia in 1637. 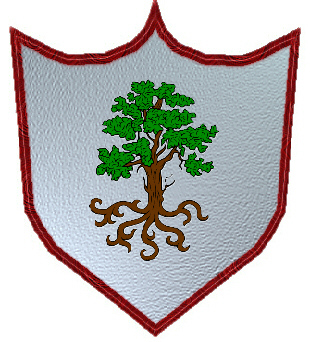 Coat of Arms: A silver shield with an oak tree eradicated. Spelling variations include: Feeley, Fealy, Feally, Feely, Fehilly, Fehley, Feley, O'Feeley, O'Feely and many more. First found in counties Donegal and Derry where they held a family seat from very ancient times. Some of the first settlers of this name or some of its variants were: Margaret Fihilly, and her four children who arrived in Charleston Mass. 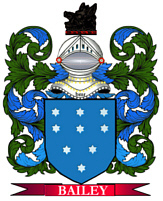 in 1803; Michael Feely, whose Oath of Allegiance was recorded in Philadelphia in 1802. FIELD - A mailing list for the discussion and sharing of information regarding the Field surname and variations in any place and at any time. To subscribe send "subscribe" to field-l-request@rootsweb.com (mail mode) or field-d-request@rootsweb.com (digest mode).